For the second time this offseason, the San Francisco Giants have traded for an established major league all-star. According to multiple reports, the Giants have acquired outfielder Andrew McCutchen from the Pittsburgh Pirates. As part of the trade, the Pirates receive prospects Bryan Reynolds and Kyle Crick. For the Giants, the addition of McCutchen comes a few weeks after the team traded for Evan Longoria. San Francisco traded away Denard Span in that trade, creating an opening in center field. On paper, the Giants had one of the weakest outfields in baseball before the trade with the Pirates. The Giants are hopeful that the addition of McCutchen will help address that. After a down year in 2016, McCutchen bounced back well in 2017. In 156 games last year, McCutchen hit .279 with an OPS of .849. He’s not quite the player he was earlier in his career when most considered him among the game’s elite outfielders. However, McCutchen proved last season that he has plenty left in the tank. With one year left before free agency, McCutchen should be properly motivated to have a strong performance in 2018. The Giants will be hoping to capitalize on that. San Francisco had an endlessly disappointing season in 2017, losing 98 games and finishing last in the NL West. With the additions of Longoria and McCutchen, it’s obvious that the Giants are trying to reload for 2018 and compete in a division that sent three teams to the playoffs last year. The job may not be done yet, as the Giants could still make a major acquisition through free agency. But McCutchen could end up being an important piece of the puzzle for the Giants in 2018. 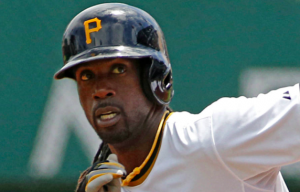 As for the Pirates, trading McCutchen appears to be the next step in a potential fire sale. Pittsburgh made the move less than 48 hours after trading Gerrit Cole to the Astros. Even if the Pirates had chosen to hang on to both players, they would’ve needed everything to go perfectly in order to compete in 2018. They now add more young players to their organization. They also leave the door open for more trades. Both Reynolds and Crick are prospects with the talent to play in the big leagues. Reynolds was a 2nd round pick in 2016 and rated as San Francisco’s no. 4 prospect, according to MLB.com. He’s at least one year away from the majors but has posted impressive numbers in the lower levels of the minors in his first two pro seasons. Crick is less heralded, being ranked no. 16 in San Francisco’s farm system. He posted a 3.06 ERA in 30 appearances with the Giants last year. He also features a fastball that can approach triple digits. He should be ready to join Pittsburgh’s bullpen right away. If things break well for him, he could become a 7th or 8th inning setup man. This could end up being a trade in which neither team benefits all that much. The Giants will get McCutchen for only a year. Even if his performance is on par with last season, it may not be enough to get San Francisco to the postseason. The Pirates, meanwhile, get a couple nice prospects for McCutchen, but perhaps not as much as they would have liked considering all he’s meant to the organization. Of course, only time will tell.